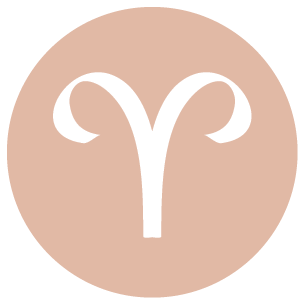 The New Moon occurring today energizes your sector of intimacy and sharing, dear Aries, and this can be a time of empowerment. Particularly as it occurs between Jupiter and Pluto, the coming week is excellent for starting a new plan of empowerment. Quitting bad habits are generally best done in the days before a New Moon, and starting new long-term programs are best in the week following a New Moon. Going forward, it’s best to initiate a plan that incorporates better habits and routines for emotional health and wellness. This can be a good time for new financial plans, taking out loans or consolidating debt, starting a counseling program, and paying special, exclusive attention to a partnership or project – taking a relationship or special project to a new level. This is a great time for looking for help from someone, whether it’s emotional or financial support, or if it’s about combining talents and resources in order to further a project, goal, or your work/business. 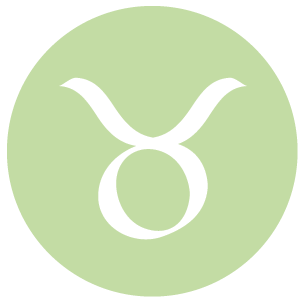 A New Moon occurs in your opposite sign today, dear Taurus, and this provides a blast of energy for relationships now and in the coming weeks. One-on-one relationships, negotiations, counseling, marriage, or business partnerships can be in stronger focus now. You’re ready to take charge or start fresh in or with a relationship. This is a time to redefine your relationships. You may be especially aware of a need to rely upon a person or to team up at this time. It’s also a good time for redirecting more energy into a relationship if it’s in need of extra attention. You’re in a great position to move a relationship forward, although there may be some issues to deal with that make you feel a little claustrophobic at times. Creatively speaking, it can be a good time to pair up. 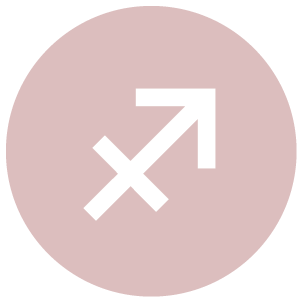 With a New Moon occurring in your work and health sector today, dear Gemini, you are receiving a boost of energy and confidence for getting your daily or working life and routines into order. In the coming weeks, good energy is with you for beginning new regimes, healthy routines, and satisfying work schedules or new work projects and goals. You have more motivation to take care of business, reorganize, work on new or revived projects, and firm up health and self-care programs. Some of you could find a new way to approach an old health or work problem, and this is exciting and motivating. There may be an opportunity to work from home or work on the home that is rewarding in the weeks ahead. The New Moon today brings energy for a new beginning on creative and self-expressive levels, dear Cancer. The weeks ahead are strong for expressing your unique vision, putting your talents to good use, improvements to your romantic life (and possibly a new beginning), injecting a spirit of fun into your life, and for creative hobbies and pursuits. There can be much enjoyment through the discovery of how your own creativity impacts the world around you. You can be feeling bolder and more sure of yourself. Communications are also in strong focus now, making this a wonderful time to reach out to others, write, speak, and share your ideas. A partner, sibling, or fellow student can be helpful for encouraging you to express yourself more joyfully. 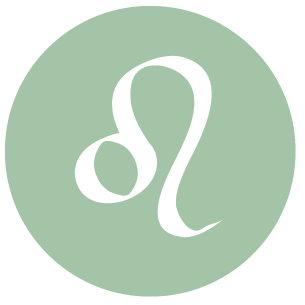 Recently, there has been more focus on your roots, home life, and personal plans, dear Leo, and today’s New Moon gives you the charge and motivation to make something happen along these lines. You might begin a new project on or in the home, get a family activity going, and reconnect with your need to nurture and be nurtured now and in the coming weeks. You might discover or rediscover a need for security, stability, or self-nurturing now, and decide to direct more of your energy into filling these needs. 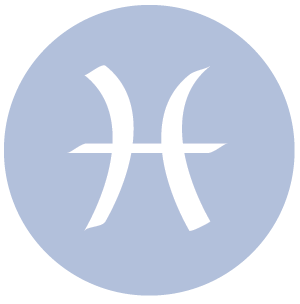 This New Moon connects with Jupiter and Pluto in your money and work sectors, and this can mean working from home or on a new long-term business for some of you. This is also a strong time for communicating your wishes and needs to others. Channel your energies into a project around the home or an initiative that will truly make you feel more comfortable, secure, and established. 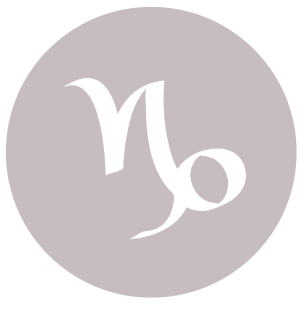 There has been more emphasis on errands, communications, and busy work these days, dear Virgo, and today’s New Moon can help bring everything together. You might have an important project to work on, a new line of study you’re interested in, or a new goal for connecting with people around you, and this lunation helps you to focus on achieving what you want and need to do. There may be a new channel for communication or transportation that opens up to you, allowing you to more easily reach out. You could feel more energetic as your goals are defined and clearer. Self-expression and creativity are part of all of this, and you could very well discover your voice now – you want to be heard, to become more involved with others, and to share your ideas and creations. Confidence in yourself and your talents is increasing, and as this happens, you are more inclined to want to share. The New Moon occurring today is strong for getting your priorities into order, dear Libra. Now and in the coming weeks, you are in a great position for getting a better handle on your finances, home life, and business. You have an increased appreciation for stability, physical comforts, and long-term plans that help you feel more secure and productive. It’s a good time for drawing upon inner strength and support of family in order to better accomplish your goals. Any activities that connect you with the physical world, the “here and now”, and a sense that you are grounded and supported can be especially helpful now. Financial goals that make sense can come into focus now – you’re in need of a game plan. 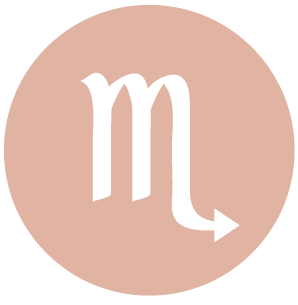 Mars will move into your sign tomorrow, and this can really get you going as motivation and energy to pursue what you desire for yourself is part of the Mars in Libra package deal! 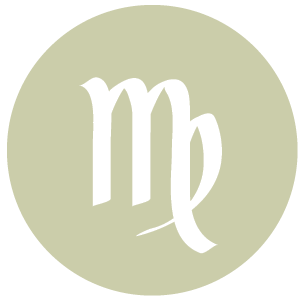 The New Moon occurring today is a strong one for you, dear Scorpio. 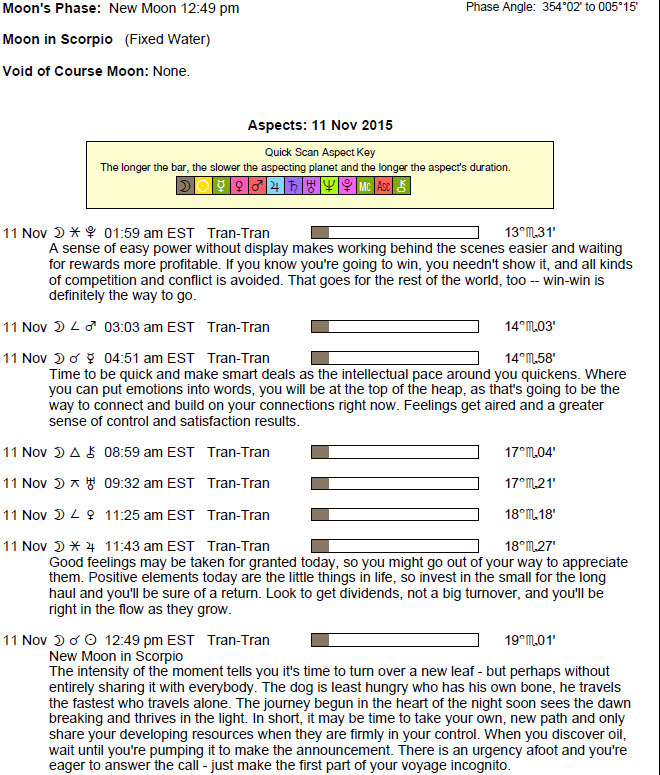 It not only occurs in your sign (a yearly event), it is also supported by your ruler, Pluto, in your communications zone. This gives you an extra lift or boost to make real, long-lasting changes that will improve your life. This is a time for reinventing yourself if you feel the need, for approaching life with more confidence and a healthy sense of entitlement, and for expressing yourself. It sits in the middle of a Jupiter-Pluto trine in your social and communications sectors, making this a strong time for redefining the ways in which you communicate with the world around you, your involvement with your community, and which groups, friends, and causes you align yourself with. All of these things impact who you are and how you come across to others. This is a personally busy time, and you can be feeling especially effective and enthusiastic. You are in the driver’s seat – make what you are doing as positive as possible. 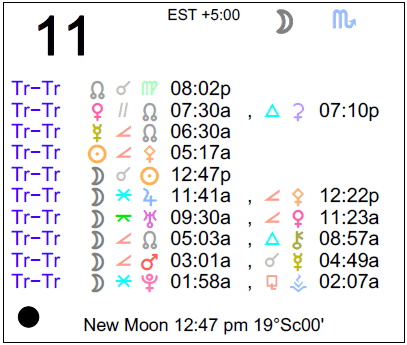 There is a New Moon today, dear Sagittarius, and it occurs in the sign just behind yours (Scorpio). This gives you strong energy for dealing with matters of the past, healing, and reconnecting with your inner spirit, dreams, and needs. The coming week can be a considered, in a larger sense, a period of review, letting go, and recharging of your spiritual batteries. You could be focusing on serving others or withdrawing a little into yourself as you reassess which goals, attitudes, and situations in your life need to be put behind you or re-purposed as you move forward. 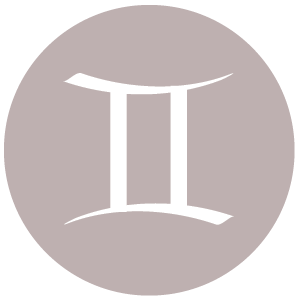 This is a yearly event, and it’s an important one, as it prepares you for the next New Moon that will be in your sign and that represents reinvention or a mini rebirth of your personality and personal goals. This is a time for seeking emotional peace of mind, and part of this process could involve some changes to how you approach your work and financial life. If disorganization in these areas has been dragging you down or weighing heavily on you, then this is a time for taking steps to get your practical affairs into order. 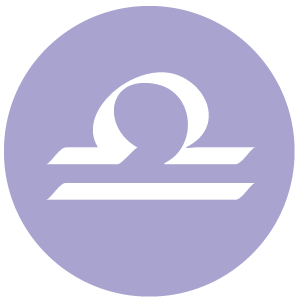 There is a New Moon today, dear Capricorn, and it falls in an area of your chart that reigns over your connection to friends and groups, as well as your ideals and long-term happiness goals. This is a good time for starting fresh with a group, a friend, associates, or even the way you approach networking. It can also be a time for reconnecting with an important cause or a stronger sense of community. There could be a need or desire to team up or strengthen your ties with a group or activity/cause. Your leadership skills can come into focus now, although you’ll find more reward in connections with others that take some of the emphasis off the self. This can be an excellent time for promotional efforts, educational pursuits, publishing, and learning. It can be a time of making important connections, and possibly life-long or even life-changing ones. You can be a source of inspiration for others, and others’ new ideas can inspire you as well now. Be sure to reach out and connect now and in the coming week. The New Moon occurring today sits at the top of your solar chart, dear Aquarius, and points to a new beginning of sorts, which can be energetically speaking or more literal, in a life-path project, career, or reputation matter. This is a strong time for feeling the need for an overarching plan or structure to your life, and a great period for setting goals that motivate you. This can be a time of heightened ambitions, a renewal or re-invigoration of goals, a more in-charge feeling, and a desire to be on top of your responsibilities. Goals for self-mastery and self-discipline can be tied in with these things, as well as a desire to put the past behind you in order to better concentrate on moving forward. 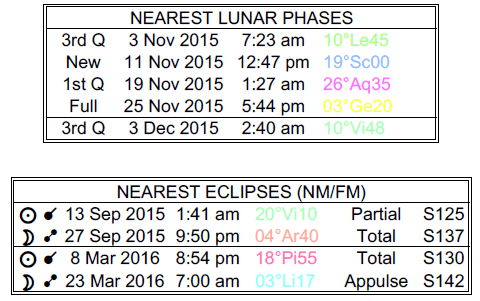 This can also be a rather visible time for you. You’re more likely to get the support and backing you need in order to advance your goals now. 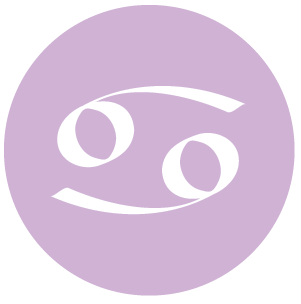 Today’s New Moon is one of the easier ones for you in any given year, dear Pisces, as it occurs in a sign that’s compatible with yours (Scorpio) and stimulates your need to feed your spirit. This one ties together with social goals, and you might very well find that people in your life, particularly friends or a partner, can help point you in the right direction. It’s a good time for learning and doing new things that provide you with a stronger sense that you’re truly living, not just doing, performing, or surviving. There could be a new person or perspective that excites you or that renews your spirit. Adventures that take your mind or body away from the usual routine or the “ordinary” are favored now and in the coming weeks. A new person in your life, or an established friend or partner, may awaken an interest or desire within you, and could encourage you to reach beyond your normal limits and experiences. If Your Birthday is November 11th, If Today is Your Birthday full horoscope here. We may be feeling pleasantly attached, finding it natural and easy to nurture and support people in our lives. Moon 22° Sagittarius 03' 19"